The Arduino Yun Rev 2 is a development board based on the ATmega32U4 microcontroller and Atheros AR9331 Linux Microprocessor. Its perfect for your IoT based projects. 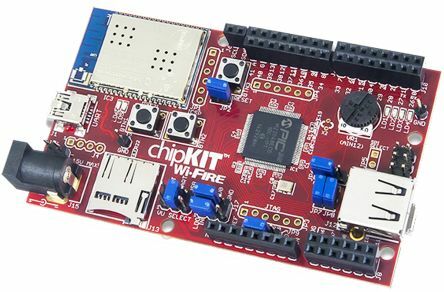 The AR9331 runs Linux and OpenWRT which means the Arduino Yun can connect to WiFi and Ethernet. The new Rev 2 board follows on from the very popular Arduino Yun board. It has a simiar configuration to the original board but a few changes to the layout fix previous problems that users experienced. The new model features a more robust power supply. A new Ethernet connector enables use of all relevant shield board without running the risk of accidental short circuits. A horizontal USB connector offers a lower profile and there is also an improved USB hub. The Arduino Yun Rev 2 offers improved functionality to the previous board and is backwards compatible with the old model.